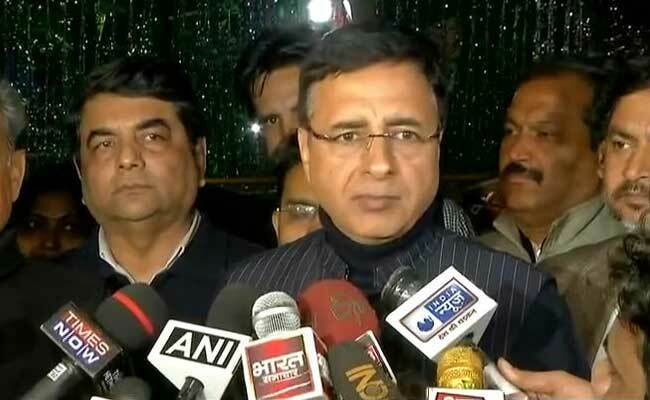 Randeep Surjewala claimed that information available through RTI on February 9, reflected that under the BJP government's watch, frauds and scams of Rs 19,317 crore were reported in India's economic capital-- Mumbai -- alone in last 3 years. New Delhi: Stepping up attack against the BJP government, the Congress on Tuesday alleged that bank frauds to the tune of Rs 54,317 crore had taken place under its watch and asked when Prime Minister Narendra Modi would speak up on the issue. He claimed that information available through RTI on February 9, reflected that under the BJP government's watch, frauds and scams of Rs 19,317 crore were reported in India's economic capital-- Mumbai -- alone in last 3 years. The RTI reply stated that in 2015, scams worth Rs 5,560.66 crore were reported, in 2016, scams worth Rs 4,273.87 crore and in 2017, scams worth Rs 9,838.66 crore, he said. "Time to tell the people as to how many fraudsters have already left for foreign shores and tax heavens. Even more inexcusable is the fact that out of Rs 19,317 crore, a pittance of Rs 2.50 crore could be recovered," he claimed. "The eight bank fraud cases totalling Rs 54,318 crore which the party referred to at a press conference were perpetrated by the Congress government," Mr Rao alleged.